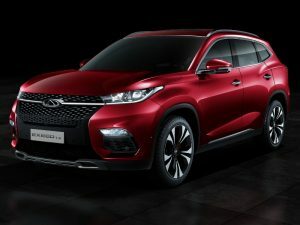 Chinese carmaker Chery has revealed the first of its European-market products, a crossover with hybrid and electric powertrains which will target fleet and retail customers across the region. The Exeed TX will be offered with hybrid, plug-in hybrid and electric drivetrains. With a design and R&D centre in Europe, the carmaker is planning a market launch “within the next few years”, selling a line of cars and SUVs under the Exeed brand. The first of these is a Qashqai-sized crossover, called the TX, which was revealed at the Frankfurt Motor Show. The TX will be offered with hybrid, plug-in hybrid and battery-electric drivetrains, possibly in addition to a small turbocharged petrol engine. The PHEV will be the first to launch, combining a 148bhp 1.5-litre petrol engine with a 114bhp electric motor, driving all four wheels and enabling a 6.0-second sprint to 62mph. Fully charged, which takes four hours from a domestic supply, the TX offers an electric range of around 45 miles, while rapid charging enables 80% of that range to be restored in half an hour. NEDC testing reflects fuel consumption of 156.9mpg, equivalent to 42g/km CO2 emissions. Chery said it is evaluating the size of sales opportunities in Europe’s largest markets, and will set up a sales operation with importers and distributors ahead of its launch in the region.